Dark posts – essentially micro-targeting within a black box environment on social media – have been a huge boon to platforms like Facebook, as well as advertisers. But as the call for transparency gets louder, the future of this dark form of social media advertising hangs in the balance, with Facebook announcing it will end the practice. So what does this mean for social media platforms and advertisers alike, and what are the alternatives? 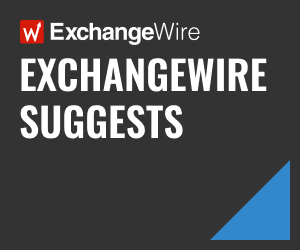 ExchangeWire speaks exclusively with Lux Narayan, CEO, Unmetric, who explains that the end of dark posts could actually be the biggest catalyst for social advertising growth. ExchangeWire: Within the context of digital media, how did we end up where we are today with dark posts? Lux Narayan: For context, I worked in TV advertising 20 years ago doing media planning for a large CPG brand. As with all mass advertising, reach and share of voice were our primary objectives. This was easily controlled because GRPs (gross rating points) and the amount any brand spent on TV ads was public. Our media spend would normally exceed optimal levels simply because we knew how much our competitors spent. Then came the internet. Since the emergence of digital advertising, brands have adopted new strategies and technologies to finely segment and target consumers based on demographics and behaviour in near real time. This is true for display, email, and of course social. The ability for brands to micro-target consumers of course has its benefits: consumer gets a more relevant experience, and brands can get better ROI from their ads. As social advertising grew, platforms including Facebook offered new tools to attract advertisers. This was especially true as they dialled back organic reach to encourage brands to spend more. One of these tools were ‘dark posts’ – ads that didn’t show up on a brand’s timeline or in all their fans’ organic news feeds. Dark posts enabled brands to target specific consumers without annoying all of their followers. It also allowed them to A/B test ads without showing the whole world. The ability for brands to micro-target consumers in a black box was powerful, but also dangerous – as the Russian political ads ordeal brought to light. There’s an inherent potential for abuse when people are unable able to see who is behind an advertisement. As such, Facebook (facing huge governmental pressure) decided to end dark posts to increase transparency both for political ads, but also, eventually, for all brands in all sectors. While better transparency in advertising is good, are there any potential negatives to ending dark posts? The end of dark posts does raise concerns for certain parties. Facebook, of course, could fear that as the new policy goes into effect globally over the next year, it could kill off some if its ad business and revenue. Advertisers will also lose the benefit of being able to test ads without showing the content publicly. This benefit in theory can help brands understand how an ad will be received and contain larger blowback from tone deaf ads, which can have a huge impact on reputation. How does ending dark posts affect the industry overall? 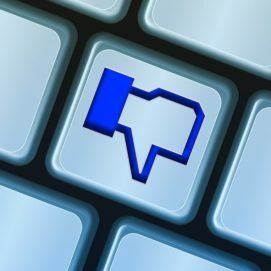 Despite what advertisers, Facebook and other social platforms might ‘lose’ due to the end of dark posts, I believe it will have an overall positive effect on the industry. In fact, it could be the biggest catalyst for growth in social advertising. This goes back to my previous point about how TV advertising works. While brands can always see how much reach and share of voice their competitors get in TV, this was lost with social advertising. While social did provide the benefit of instant feedback and reaction from consumers to an ad, there was no way for a brand to see how their social ad spend stacked up against others. Applying TV ad buying models to social media has the power to increase ad spend on Facebook and other social networks. Eliminating dark posts is a big step in giving back what was lost with social media (transparency and understanding of what competitors are spending) while also allowing advertisers to benefit still from social media’s real-time audience reaction metrics. It also opens up great opportunities for Facebook as brands are driven to advertise more to keep pace with competitors. After the end of dark posts, what primary challenges still exist in the social advertising ecosystem, and how can the industry overcome them? While transparency in who is behind an ad, as well as how much brands are spending, will be addressed with the end of dark posts, there are still major challenges to overcome in the social advertising space and the digital ad space in general. Advertisers are increasingly concerned with their ability to understand the pricing metrics behind their ad buys and how to measure the ROI of their ads. Traditional ad metrics like CPC or CPM are increasingly under scrutiny. The entire media landscape – social included – will need to continue adopting models like time-based advertising to pay better price and measure ad effectiveness. Targeting and personalisation will also continue to be a major challenge for social advertisers. Again, dark posts were meant to help avoid the ‘noise’ issue with ads. Dark posts or not, the reality is that ads must interrupt organic content in order to be effective – but these interruptions should be as ‘polite’ as possible. Advertisers must simply continue to focus on creating better content that is experience-based and has the ability to resonate both with target audiences and consumers in general. As people continue to consume more and more social content via mobile app, the networks must take steps to create the best possible mobile ad formats that feel ‘native’, and provide consumers with the most seamless experience, as they move from organic content to an ad and back. As a technology company that provides brands with social data, what are you doing to adjust to the elimination of dark posts? We work with some of the world’s biggest brands and agencies and are committed to providing our clients with the most up-to-date data and analytics available. Facebook announced that it is testing its ‘reveal all ads’ feature in Canada and plans to roll it out to the US by summer of 2018, ahead of the midterm elections. As this data becomes available, we will be keeping a close watch and making the necessary changes to both the back- and front-end of our AI-powered platform, as well as developing solutions to integrate the newly available brand advertising data and make it digestible in a way that enables our clients to make the most informed decisions from their competitive insights.